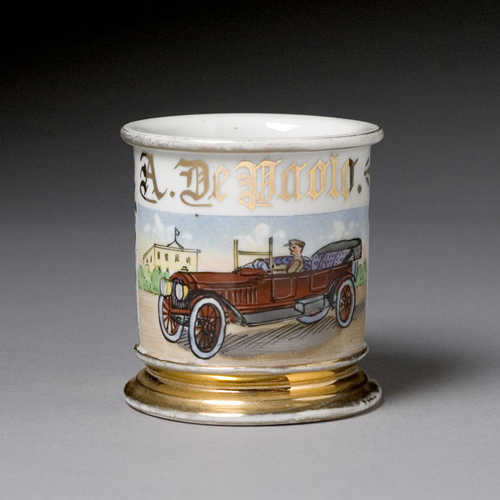 Chauffer’s Occupational Shaving Mug, porcelain with polychrome painted scene of a man driving a luxurious, cherry red open car. Gilt name A. De Paolo.